Description CARFAX 1-Owner. LT trim, INDIGO BLUE MET/LT PEWTER MET exterior and GRAPHITE INTERIOR TRIM interior. WAS $8,550. Moonroof, Heated Leather Seats, Running Boards, Rear Air, Premium Sound System, Flex Fuel, TRAILER PKG, PWR SLIDING SUNROOF, Trailer Hitch, 4x4, Aluminum Wheels. 4 Star Passenger Front Crash Rating. CLICK NOW! Leather Seats, Heated Driver Seat, Onboard Communications System, Aluminum Wheels, Heated Seats Rear Seat Audio Controls, Keyless Entry, Privacy Glass, Heated Mirrors, Bucket Seats. TRAILER PKG trailer hitch platform, 7-lead wiring connector, trailer brake pre-wire harness, 7-way to 4-way adapter. Chevrolet LT with INDIGO BLUE MET/LT PEWTER MET exterior and GRAPHITE INTERIOR TRIM interior features a 8 Cylinder Engine with 285 HP at 5200 RPM*. 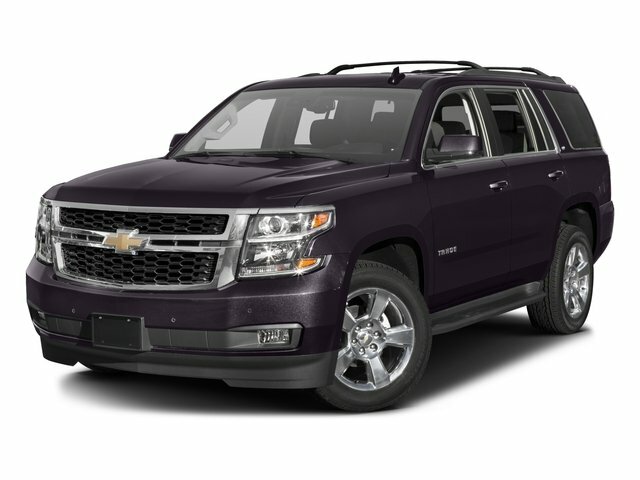 "The suspension delivers a stable, smooth ride, regardless of whether the Chevrolet Tahoe travels on or off pavement, while the steering is light enough to maneuver the big sport-ute easily in tight situations." -Edmunds.com.